A quick update on the current going-ons of the juice business today. 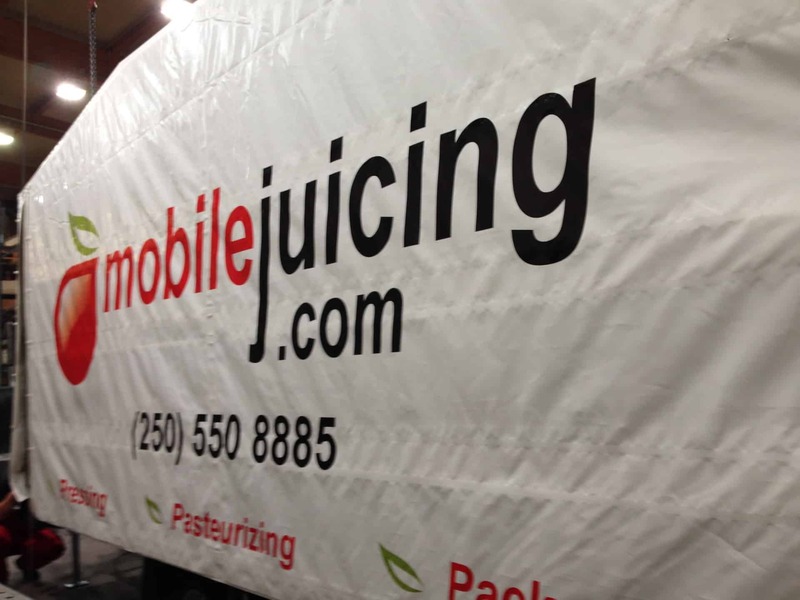 As we anxiously await our new mobile juicing trailer en-route from Austria, we want to take the opportunity to tell you a little bit about it! Did you know that we have a BIN-DUMPER this year? No more back-breaking shoveling! It does mean, however, that if you want to mix apple varieties, you will need to pre-mix in each bin as it is all dumped in one go. It also means being diligent about selecting good fruit as picking out rotten ones before pressing is considerably harder. From there, the apples float in a big basin of water before going up the elevator, so they get a good wash too. A bigger press and two settlement tanks lead us to a 900L/hr pasteurizer and on to the packaging end. We will be running a higher capacity this year (3-4 bins/hr), so challenge us with as many bins as you can! As always, we ask for your continued flexibility and generosity when we invite others to join in on your juicing day, or ask that you join us at another nearby location. We try to maximize juicing days to get everyone in during the short season! Having a few extra hands around on your juicing day is always nice to make sure everything runs smoothly, especially now that it is even faster. As mentioned in the previous newsletter, we also have new pouches and various packaging options this year, so talk to us about the best packaging for your needs. We expect our machine to arrive safely soon and we will catch up with the early fruit season this year. Wishing all the best to the cherry and berry growers that are looking at a fantastic season, we hope your sales sky-rocket this year. Give us a call when your sorting is done and we transform your uglies into a beautiful, tasty juice.